Penny Michaels, Bowen Therapist, will be teaching a revolutionary Bowen Therapy class in Vero Beach, February 10 & 24, 2019. This 16 hour class will cover the Basic Bowen Therapy Protocol along with elements from Graham Pennington’s (A Textbook of Bowen Technique) revolutionary work-The Importance of Symmetry and Targeting Primary Dysfunction. This class is first in an upcoming series of classes for the serious Bowen Practitioner. In this class the student will be taught pre-assessment techniques to locate the site of any dysfunction, appropriate therapeutic techniques for resolving the dysfunction, and assessment techniques to determine if function has been restored and if further therapeutic intervention is required. If you are ready to bring your practice to a new level, this class is for you! Begin an exciting journey of empowerment gaining insight into restoring proper form and function! This entry was posted in The Bowen Technique, Uncategorized and tagged bowen therapy class, class, continung education class 2019 on January 7, 2019 by penny michaels. This entry was posted in Uncategorized on January 1, 2019 by penny michaels. This entry was posted in Uncategorized on December 17, 2018 by penny michaels. In order to begin to answer this question I have to explain a bit about fascia. Fascia is soft, connective tissue that runs continuously throughout the body. (We will forego the discussion on duramater for now), Fascia wraps around and criss-crosses EVERYTHING. It’s like a stretchable fabric- somewhat stretchable in some directions. Looks kind of like a spider’s web. And as I said, it is CONTINUOUS throughout the body- lliterally. For example, some of the fascia that starts out on the left side of the head ends up on the outside of the right ankle. When there is a “kink” in the fascia in one or more places, the restriction can transfer to a completely different area. So. It IS possible that a sore, stiff neck could have started from rolling the opposite ankle. I know that is hard to imagine but it is the way it is. It’s hard to imagine that as I work to get the neck unstuck your plantar fascitis can release but this is a very real possibility. So, when you come to me for a neck problem and I am working on your tailbone- don’t think I’ve lost my cookies- just remember it’s all connected! This entry was posted in Uncategorized on October 15, 2018 by penny michaels. Mike Williams from The Center for Massage and Natural Health in Asheville , NC wrote this amazing explanation of Bowen Therapy after several conversations with me while I was teaching there about this system of bodywork . Thank you Mike! I honestly could not have done a better job myself. Actually, I’ve tried over and over! This just puts in so that I believe everyone can understand. Enjoy, and thank you Mike! We know that our body responds and reacts to about 6 million signals coming to and from the brain every second. This is a beautiful yet very complex communication that enables our bodies to function. Bowen therapists believe that the fascia system is heavily involved with this process. Fascia wraps around all of our muscles, tendons, ligaments, and organs and provides a protection layer and a communication vehicle between the brain and our body systems. In the communication process, there are times when the body may incorrectly learn and adapt new patterns that create unnecessary tension that becomes locked in place. This may cause the client to experience structural or emotional misalignment. Traumatic events such as injuries, or even systemic patterns that emerge (e.g. sitting at a computer with forward posture) are examples of how the fasica may learn to hold on to incorrect tension. Unnecessary tension creates misalignment that can result in dysfunction. In these situations, the body needs to un-learn these incorrect patterns to that it can re-learn correct patterns. 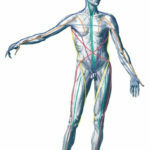 Bowen bodyworkers help the body to unlearn patterns through light touch of the fascia. This sets into motion the unwinding of unnecessary tension patterns that are observed in each client. As a result of this unwinding, the body is able to return to correct patterns and significant and positive healing shifts may be achieved. Examples of shifts include, pain reduction, improved mobility and range of motion, reduced anxiety, improved sleeping patterns, improved breathing, and overall function of the mind-body connection. During the Bowen treatment, the body presents evidence of muscular tension and the therapist can unwind this through a series of light touch maneuvers. These actions signal the brain to recognize and unwind the tension and to release the affected areas by communicating through the fascia system. The best way to experience Bowen is by participating in 3 weekly sessions over a 3 to 4-week period. Each session takes about 20-45 minutes and may last up to an hour. After these three sessions, the client and therapist will be able to determine what shifts have taken place and then can work with the therapist on maintaining this new balance. Often a maintenance sessions every 4-6 weeks are helpful. Bowen is not a specific treatment for a specific condition. The treatment is a method of unwinding the patterns that may be interrupting the normal function of the body. All clients should fully disclose all health issues that they are dealing with. As a rule, due to the light touch of the Bowen technique It really cannot harm the body. That said, it is important that all clients fully disclose their medical history so that the therapist and client may determine how the technique may be most helpful. Awareness of the whole body and the external factors a client is experiencing enables improved body scanning and better awareness of shifts that occur as the client participates in the various sessions. This entry was posted in The Bowen Technique and tagged bowen therapy, bowen therapy explained, explanation, layperson on August 31, 2018 by penny michaels. I found Reiki a gazillion years ago. Or it found me. And it changed everything. There are lots of people who have experienced and wrote about “dark nights of the soul”- these are real events in life that change us forever. We are usually completely lost – don’t know what to do times in our lives, And we know real change is required, if we are to know any peace, health, happiness. And at these times, we reach out. That’s how it happened to me. I’m not interested in talking about where I have been. I really enjoy talking about where I am going. That being said, I will share a bit about Reiki and how I experience it.. I came back to Forida after one of “those” life-altering experiences. And I moved into a small town and thought ‘what am I doing here’? I walked into a Reiki circle with Patricia Williams at a store called The Inspired Heart” and knew I came home. I felt I had done this before. And I stuck to it like glue. and it stuck to me like glue. and I have been delving into this Spiritual practice ever since. I’ve taken Reiki lots with Patricia, and lots with other teachers like Pamela Miles, author of Reiki in Medicine. She’s all about getting Reiki into conventional medicine which I had hoped to do in a big way. That in itself is an uphilll battle so to speak as it is unusual for one to think that a “weird” Spiritual practice could help anyone in the midst of a condition that is robbing them of health and happiness. But, it does. The National Institutes of Health NCCAM (the alternative therapy parts that they recognize), call Reiki a “biofield therapy”. As you can read for yourself in NCCAM documents and other parts of this website, the NIH does claim that patients currently involved in conventional medicine tolerate their protocols better, heal faster, require less medication, when engaging in regular practice of Reiki with a qualified practitioner. For me- it is a daily practice- I literally never leave home without it. And have I seen miracles happen? Many. I AM ONE, And I am pleased to say that everyone I “touch” with these high vibrational frequencies benefits from it too. We all have the ability to heal- anything. The physical, the emotional, the Spiritual- it’s all intimately connected, and so are we. And Reiki is a wonderful, effective, and beautiful tool that we can use to accomplish our desires for a healthy, happy, vital life. A big, heartfelt thank you to all of my teachers, and to Dr. Mikao Usui- Reiki On! This entry was posted in Uncategorized on July 30, 2018 by penny michaels. Graham Pennington, Australian Bowen Therapist, Naturopath, and Acupuncturist and Author of “A Textbook of Bowen Technique”, delivered yet another stellar instruction of further advances in the world of Bowen Therapy. I recently attended his new class, Targeting Primary Dysfunction, in Chicago. It was a unique, one-off, opportunity not to be missed by any of us who are passionate about Bowen Therapy. Once again, his instruction, knowledge, and experience has brought my practice up several levels in efficiency and effectiveness. He has been immersed in and enthralled by the challenge of restoring people’s body’s to proper form and function through the Bowen Technique (as many of us are), maintaining a robust practice for the last three decades, constantly focused on the study of the body and its patterns. As he states, (and I completely agree) ‘as one delves into this practice on a daily basis, over many years of practice and study of the human body, certain “patterns” of dysfunction become more and more apparent’. Graham has been able to categorize these patterns and recognize their origin. With each patient, his constant search is for “the primary cause of the dysfunction”. Through his practice, he has identified a long list of ‘usual suspects’ and he has recognized an “order of priority” exists with regard to the origins of the “primary dysfunction”. Using his system of priority, we can clearly see “what comes first”, what is primary and what is secondary, and what is simply compensatory. With this knowledge, we are able to “target” our treatment to the root cause of each pattern of dysfunction. We can do some simple (and sometimes not so simple) assessment techniques and rather quickly (usually) we can determine the root cause. As an engineer, I understand the concept of “root cause” and how vitally important it is in the success of any research or inquiry. If we go about treating a person’s symptoms we may get some immediate benefits but it is likely we won’t achieve long lasting results. That is the very important distinction. In order to get lasting results the root cause must be ferreted out and addressed. Graham has done this and through his teachings he has enabled us to target/hone in on the “Primary dysfunction” and address that directly. The rest of the dysfunctions or abnormalities or imbalances for the most part simply “unravel” on their own. The secondary patterns, the compensatory patterns are just that secondary and compensatory- they dissolve in the midst of addressing the Primary Dysfunction. It is brilliant work which I am thrilled to have benefited from (and so are my clients!). Bravo Graham, and thanks for sharing! ~from Penny and her clients! We salute you! This entry was posted in The Bowen Technique, Uncategorized and tagged bowen therapy, graham pennington, targeting primary dysfunction on June 4, 2018 by penny michaels. New Science shows how Bowen Therapy works! New Science demonstrates how Bowen Therapy works! I am constantly looking for new and better ways of describing how and why Bowen Therapy works. Clients call it “odd”, “strange”, they don’t know why it works, they just know it works. Often, a client will say to someone who is in pain, “Just go see Penny, I don’t know what she does-it barely feels like anything- but she is able to fix a lot of stuff.” Thankfully, I have worked on enough people that the word has spread and more clients keep coming- albeit usually out of desperation! So, once again I am going to refer to my two favorite hands-on bodyworkers: French Hand surgeon Dr. Guimberteau and Anatomist Thomas W. Myers, Author of my favorite book Anatomy Trains. My background is in Materials Science & Engineering, so when Mr. Myers started talking about the soft tissues in the body being mostly collagen (and elastin) and that this is piezoelectric substance- my brain fired. You see adding mechanical pressure to these materials produces an immediate electrical charge. Same with quartz crystals, for instance. So yahoo- what does this have to do with the reason the light touch of Bowen Therapy creates such profound changes in the body? When we touch lightly on the fascia (that surrounds our muscles, tendons, and ligaments) , that is piezoelectric in nature, it sends off electrical signals to the brain and the brain instantaneously responds with a host of signals that changes/corrects the environment of the muscle, tendon, or ligament that we just touched. Changes in tension or density-tensegrity-for instance are made. The muscle that was too tight clamping down on that nerve or pulling that bone off center is now brought back to balance- bye bye pain and dysfunction! This is about as simple as I can get on this subject- I hope it helps you to at least begin to understand that this is how the body works, and this is why Bowen Therapy is so Billiant! This entry was posted in natural healing therapies, The Bowen Technique and tagged anatomy trains, bowen therapy, Dr. Guimberteau, fascia, piezoelectricity on April 10, 2018 by penny michaels. I think this quote originally came from Ida Rolf, inventor of the very physical modality of Rolfing. I find this quote to be the truth day in and day out. Where people feel pain is rarely the location of the problem that is causing the pain. It is what is called “referred” pain. What is actually causing the pain in the knee may be a dysfunction- a problem- in the hip. Following this example, knee pain often results in an imbalance in the hips; or more precisely, imbalance in the tension in the soft tissues (muscles, tendons, ligamanets, fascia) of one hip or the other or both. For instance, let’s say the right knee hurts. When checked, there is imbalance in the hips which shows as one leg shorter (probably the left) than the other causing one knee to carry more than its fair share of the load, eventually causing pain in that knee. When we correct the imbalance in the tension in the soft tissue structures allowing the bony structures to go back to where they belong, pain stops. Function returns. Plain and simple. And luckily for both the client and the therapist, Bowen Therapy does not hurt! It is very gentle and VERY effective! This entry was posted in natural healing therapies, The Bowen Technique and tagged bowen therapy, referred pain on February 12, 2018 by penny michaels.